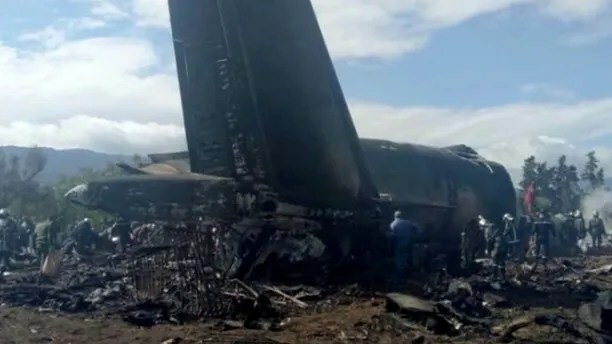 Some of the 257 people killed Wednesday in an Algerian military plane crash tried to jump off the jet before it went down in flames, a witness says, as authorities hunt for the cause of one of the African nation’s worst-ever air disasters. Several witnesses told Algerian TV network Ennahar they saw flames coming out of one of the planes’ engines just before it took off. One farmer said some passengers jumped out of the aircraft before the crash, according to the Associated Press. Other broadcasters showed images of body bags lined up in a field with mangled plane parts visible in the background. The large Soviet-designed Il-76 military transport plane crashed in a farm field just outside the Boufarik military base, located about 20 miles southwest of the capital Algiers. It was destined for another military base in Bechar. 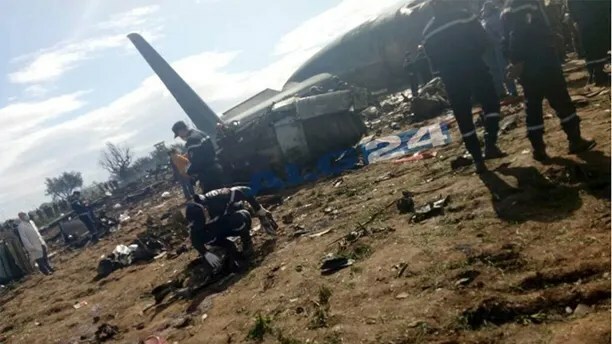 Algeria’s defense ministry said in a statement that 247 passengers and 10 crew members were killed, with most of the victims being soldiers and their relatives. It added the victims’ bodies have been transported to the Algerian army’s central hospital in the town of Ain Naadja for identification. Some passengers were “extracted with deep burns caused by the fuselage catching fire,” Civil protection agency spokesman Farouk Achour told the Associated Press. The Algeria-backed Polisario Front, which seeks independence for Western Sahara from Morocco, also told the Associated Press that 30 refugees who had been treated in Algerian hospitals were among those killed. The U.S. Embassy in Algiers also expressed its “deepest condolences” to “our partners and colleagues in the Algerian military,” and their families. More than 300 emergency workers were reported to be the scene and the cause of the crash remains unclear. The plane that went down has been in production since 1970s and has an overall good safety record, according to the Associated Press. It is widely used for both commercial freight and military transport. The Algerian military operates several of the planes. It was the first crash of an Algerian military plane since February 2014, when a U.S.-built C-130 Hercules turboprop slammed into a mountain, killing at least 76 people and leaving just one survivor.